When choosing a coffee table to set in front of your sofa, you can choose something unobtrusive, like a simple glass topped table, or you can add more of a design element. I picked a Chinese trunk in the top photo, and a mahogany Chinese table that I just bought at a Stair Galleries auction for $250 in the bottom photo. I wanted to juxtapose the modern metal framed and leather sofa with something a bit more traditional. In this design by Eve Robinson Associates they used two low tables, which gives a lot of flexibility to move them around, and adapt to the seating arrangements. In the home of Pat Steir and Joost Elffers they used a Guatemalan workbench as their coffee table. 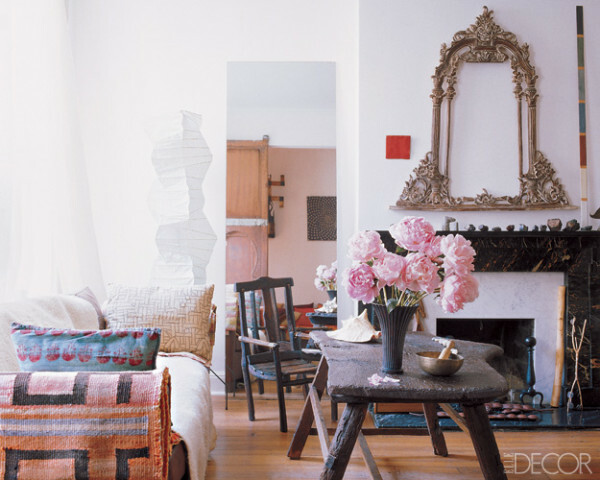 I love the mix of rustic with the more elaborate mirror over the fireplace. 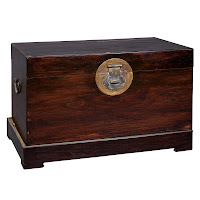 Doyle New York has an auction on February 23rd of the Estate of Lena Horne. 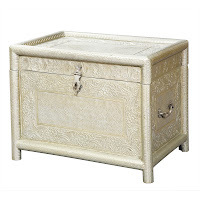 There are lots of interesting pieces in the sale. 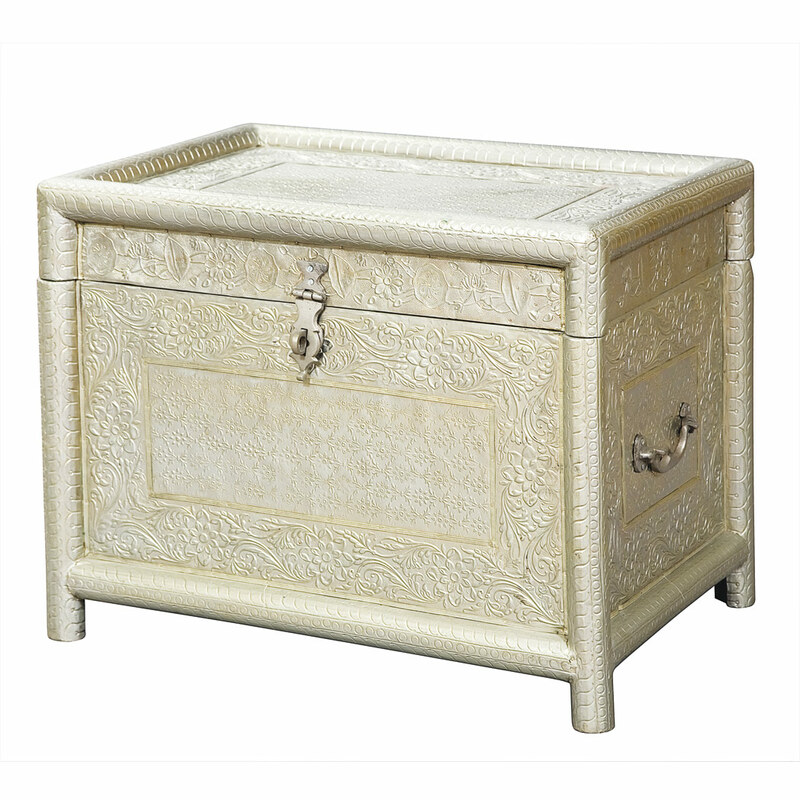 I like this small trunk as a coffee table. This is Indian silver colored metal repousse and wood, and measures 17.5" tall and is 22" x 16" wide. The silver is very chic and would work well in a smaller room. This is Lot 1142, and has an auction estimate of $15 - $250. 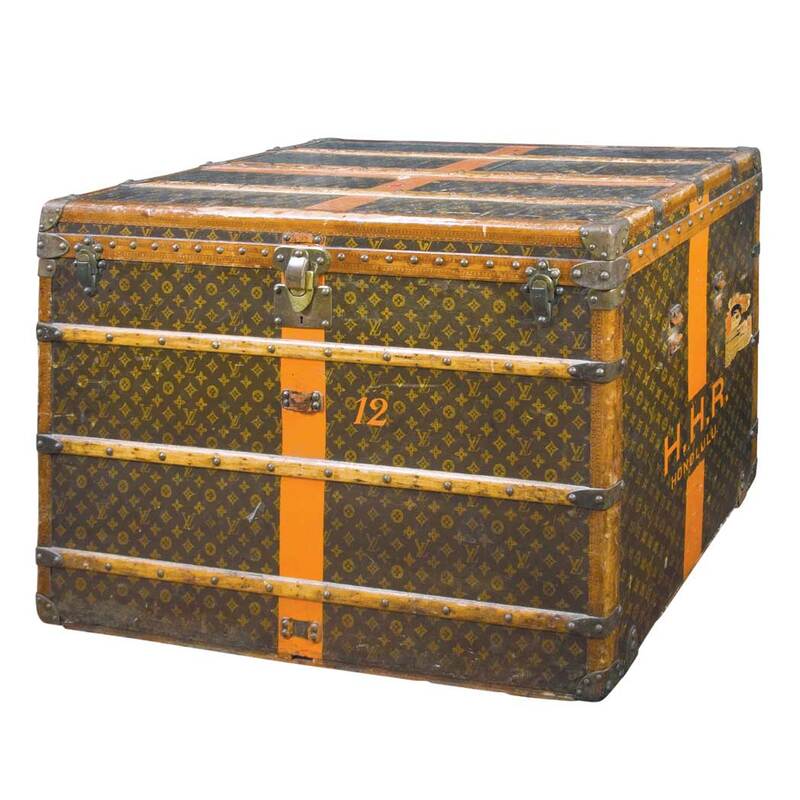 Louis Vuitton luggage is always in demand. 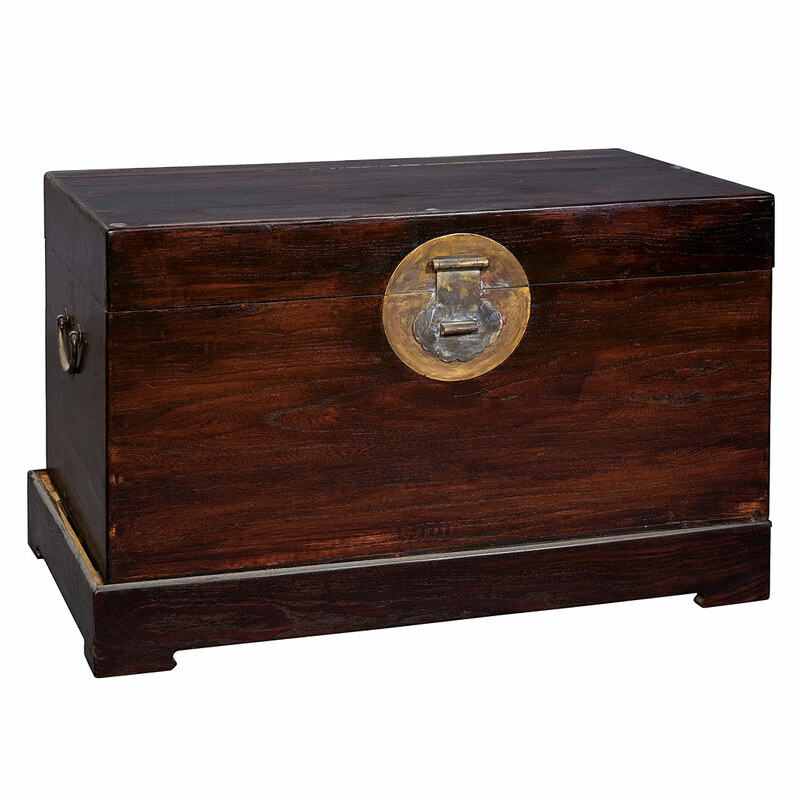 This trunk in the Doyle sale measures17.5" tall by 39.5" x 23" wide. It's Lot 1017 and has an auction estimate of $800 - $1,200. 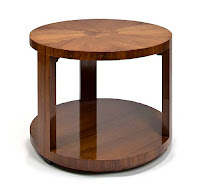 This would make a great coffee table in a family room. It's sturdy enough to allow people to put their feet up and relax while watching the game. 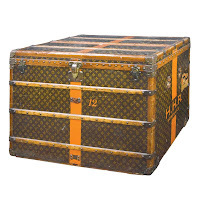 The Chinese trunk is always a smart coffee table option. It is simple in design, and usually has an interesting mount for the closure. This one is in the Lena Horne sale at Doyle, Lot 1048. It's made of wood and has a brass mount. I like that it has a stand as well. This measures 23" tall by 36" x 19.5". It has an auction estimate of $200 - $300. 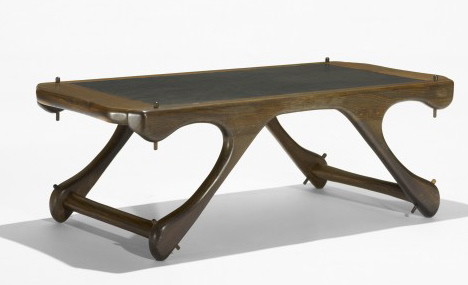 For a sleeker look, I like this Art Deco inlaid mahogany coffee table, circa 1930. This is Lot 7390 in the Bonhams Los Angeles being held February 27th. It measure 23" tall and is 29.5" in diameter, and has an auction estimate of $400 - $600. The design is so simple and elegant, and the interest in the wood speaks for itself. 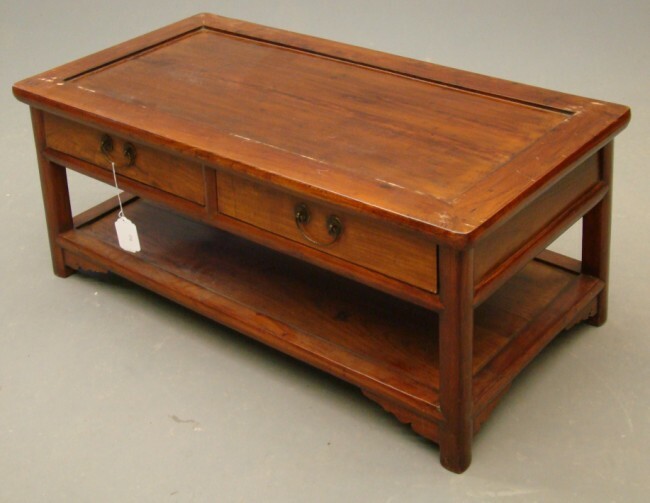 This rustic Asian coffee table sold at a Copake Auction in Copake, NY for $130. This is smart looking and simple. This would be great in a family home where you don't want to worry about the kids using it for coloring, or putting glasses on it without coasters! For a modern option this Don Shoemaker coffee table is circa 1970, and is made of rosewood and leather. It went unsold at a Wright 21 auction in Chicago, IL last year. It had an auction estimate of $2,000 - $3,000. The overall design gives this table lots of interest. When choosing your coffee table think about how your family and guests will use it. Will kids be using it for playing and studying? Will you be worried that people will be putting their drinks down on the table without remembering the coaster? You don't need to give up great design if your coffee table will get tough use. Just balance style and price, and check out your options at auctions for some good values! Create a grand entrance with a few key pieces!